Last month we reported on how both Facebook and Twitter were bidding to stream NFL football online and now we appear to have a winner. 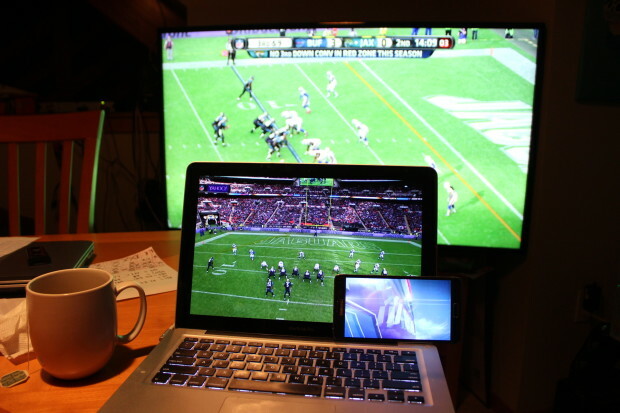 People wishing to view Thursday night NFL games online will be able to view them on Twitter. It makes total sense considering the popularity of sports on Twitter. Big games always wind up trending and being talked about a lot and Twitter already has rights to share the NFL highlights. It is a shame for Facebook who are definitely trying to get sports to become a big thing on their service, but it's even better for Twitter who need to grow and strengthen their user base again. Twitter needed this win and even though they won't start streaming until later this year, it might be enough to keep some of their users around. Twitter have clearly found their niche with sports and they're handling it better then they ever did with music. So, what else could Twitter do to attract new viewers with this partnership? Advertising is obviously going to be a big thing. They'll need to make it easy to find the streams, but not put it right at the top of everyone's timelines, lest they risk coming across as rather obnoxious. It would also help if the streaming worked a little like Periscope, only rather than comments you could choose to see tweets pop up from experts or the people you follow. That would definitely help the streaming be social and wouldn't stop the games from trending as users could still easily talk about what they're watching. This idea may appear to sound a little like the Facebook Sports stadium but it might be better to keep that all in the stream and not separate. However this is all speculation and we won't know for a while yet exactly how they're going to handle this. However when Yahoo started streaming NFL games last year for free, they found that people were only watching the beginning of the game. About 2.36 million watched the Yahoo streams online which is well below the average 10-20 million viewers of televised games. This could be because watching on a phone or laptop is still not as good as watching on television. So if Twitter wants to tackle and increase their numbers then they will have to make the stream the more preferable option and making it free isn't the way to magically gain all the viewers. If they do this right then Twitter have a strong reason to stick around at least until the end of their contract with the NFL.